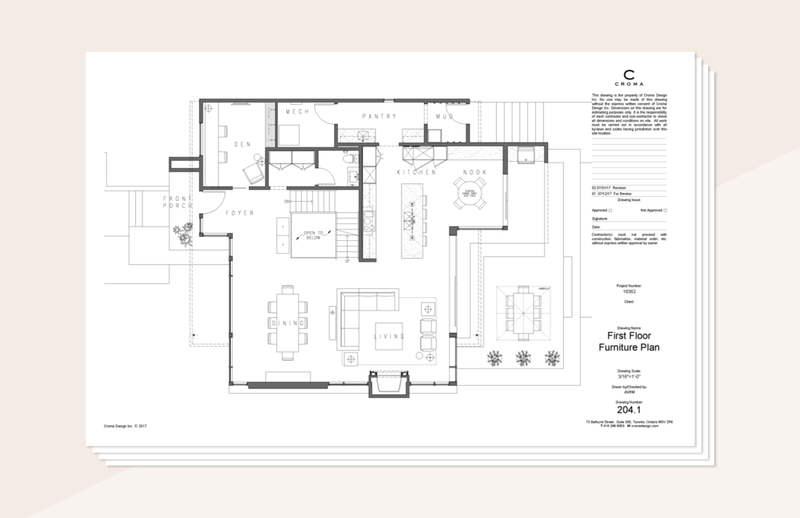 Design services For Construction — Croma Design Inc.
Good design will increase the value of your property. A carefully planned interior will improve the functional aspects of your lifestyle. Good design and carefully executed planning is what we’re known for. Our expertise is in the design of home renovations with budgets starting at $300,000 and in the design of condo suite renovations with budgets starting at $200,000. We also provide elegant interior design solutions for new home construction and home additions. If the designer is the primary consultant, they’ll direct your project into a good course of action at the onset. If part of a larger team of architects, engineers, etc., we’ll want to make sure our work is performed efficiently as part of the whole project. Design fees vary depending on scope and project complexities. For example, a project that involves bespoke millwork would have a higher fee than one with off-the-shelf solutions. With an understanding of your project, we would tailor a fee proposal to suit your specifics. Get in touch. We’ll send you an online form. A call or meeting to review your form. A fee proposal drafted to suit your needs. An initial meeting to clearly define the project direction. 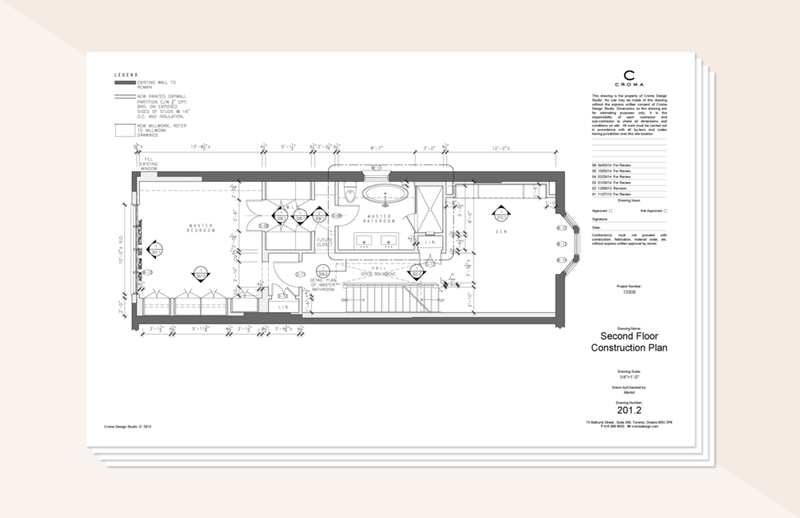 Detailed measurements are taken, or drawings are obtained from the architect. Creation of budgets and moodboards for you to approve the overall design direction. 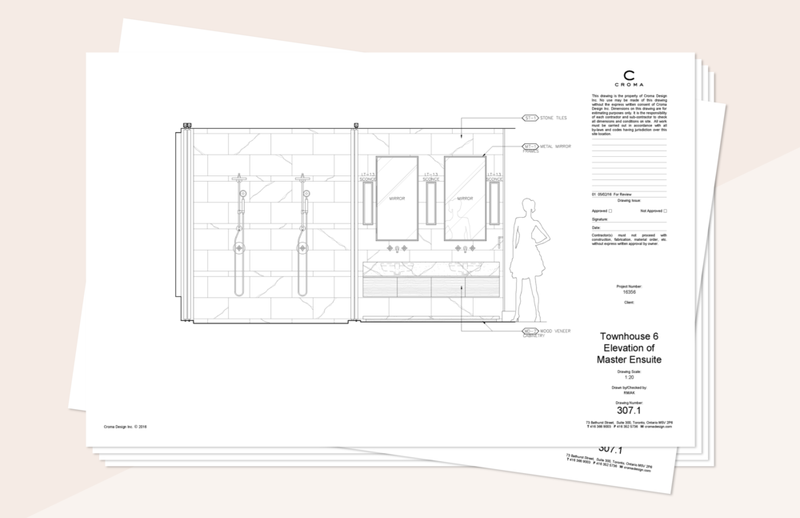 Elevation showing custom cabinets, tile, lighting, etc.